DUBLIN FIRE BRIGADE has had a piece of equipment that was stolen as it responded to a call yesterday returned today. 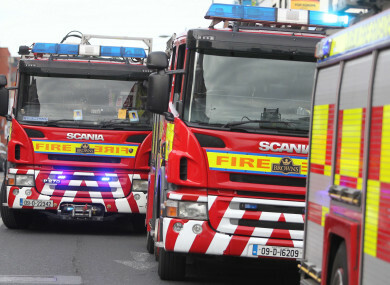 The incident happened in the Fassaugh Avenue area of Cabra, north Dublin, after fire brigade paramedics were called to a medical incident at a pub. It is understood a man had suffered a cardiac arrest. While the paramedics dealt with the casualty, two pieces of expensive equipment were stolen off the fire engine. Today, Dublin Fire Brigade said that a DeWalt rescue saw was returned by a tradesman who persuaded a seller to hand the item over. The tradesman then returned the item to Phibsborough Fire Station. A Holmatro hydraulic pump remains missing. The fire service has urged anyone with information to contact them or gardaí. Email “Stolen saw returned to Dublin Fire Brigade after seller 'persuaded to hand it over'”. Feedback on “Stolen saw returned to Dublin Fire Brigade after seller 'persuaded to hand it over'”.